Inspirational author Earl Nightingale famously said: All you need is the plan, the road map, and the courage to press on to your destination. Many investors focus on the “micro” aspects of investing, like how to pick great stocks or when to “flee to safety” from a volatile stock market. Doing so misses the forest for the trees. The “forest” is the investment process. A sound investment process establishes a sequence of events involved in recommending suitable investments. This sequence starts with an understanding of your ability to tolerate risk, which determines your asset allocation (the division of your portfolio between stocks, bonds, and cash). Our process includes a review of available investment options. You may be surprised to learn there’s little academic support for the most highly publicized strategies. Simple, less costly approaches to investing are supported by overwhelming academic evidence and are likely to generate higher expected returns. The process of investing focuses on your needs, goals, tax status and risk preferences. The discussion of risk is central to this process. The ability to assume more risk doesn’t mean it’s always prudent to do so. Once a suitable portfolio is constructed, it’s important to periodically revisit and evaluate portfolio performance, whether your goals have changed and whether your plan needs to be adjusted. 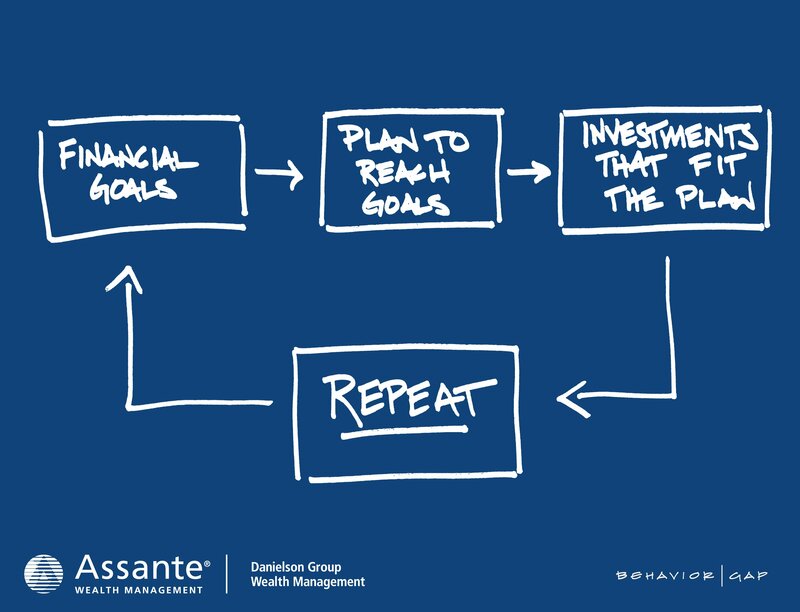 At the Danielson Group, we believe the process of investing is the key to a successful investing experience.